Sydney city skyline and harbour at dawn. Morning run over Sydney Harbour Bridge. 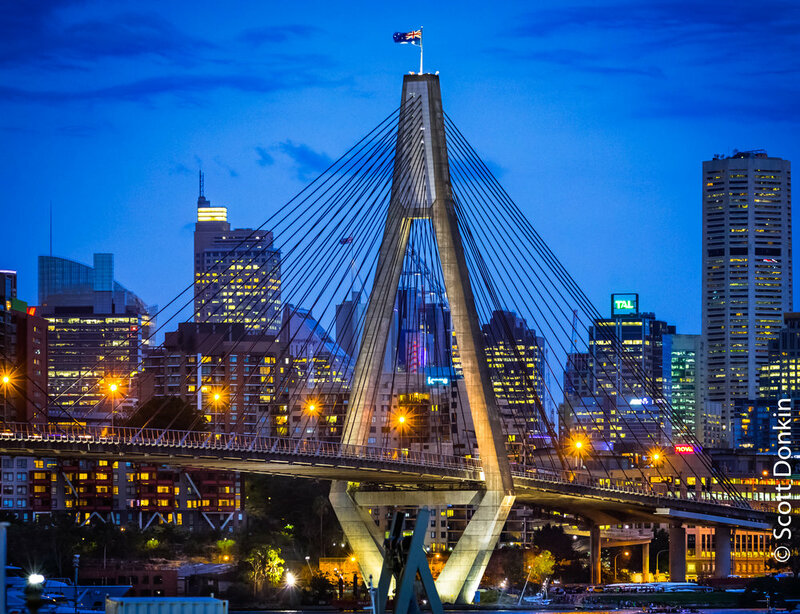 ANZAC Bridge and Sydney skyline. Silver Gulls catch insects in the lights of the Sydney Harbour Bridge. Old painted advertising. Construction area, George Street, Sydney. Shanghai smog in the afternoon. Afternoon peak hour. William Street, Darlinghurst, Sydney. Office towers. Chatswood, New South Wales. North Sydney skyline at dawn.